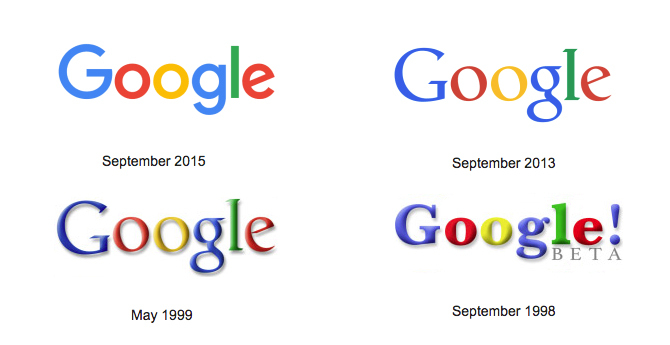 There have been seven versions of Google’s logo since it was first conceived in 1998. 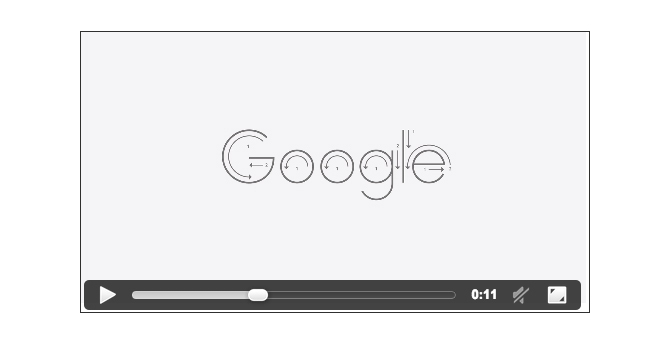 In it’s recent update, Google has made a significant change by finally letting go of the serif – you know, those little feet on the bottom of letters. If you’re thinking about updating your visual identity, here’s a quick look at the three priorities that Google got right. A refresh can go a long way to re-energizing your identity, but resist the temptation of going overboard. You want to excite your audience without alienating them. Google didn’t pull a “Gap” on us here (remember in 2010 when Gap re-branded and people freaked?) Google kept a lot of the familiar elements – four basic colours slightly tweaked, clean white background, text on a straight line. Would we still trust them if they’d gone a little crazier? Would you even recognize them? See the subtle variations in the logo’s evolution here. Google developed a “G” icon that works even at the tiniest of sizes as well as a set of icons that have the same look and feel. Where will your logo show up? Building signage, mobile apps, baseball caps, neck tattoos? You should anticipate your logo appearing in a myriad of locations and you’ll need a set of files that adapts to each one. Don’t get me wrong – they should all look the same, but you’ll need different file formats for reproducing your logo with pixels, toner, ink, metal or thread. For most organizations, it’s also important to make sure your mark works as a solid colour, for when it’s printed on paper or embroidered on shirts. You may also be a sponsor for a local event and they will need your logo to place an ad in the good ol’ fashioned black and white newspaper. Depending on your target market’s needs, aesthetic styles can vary wildly from decade to decade. Or year to year. I love trendy fonts that harken back to prohibition times, but their application is best suited to campaigns or products that speak to a niche market. 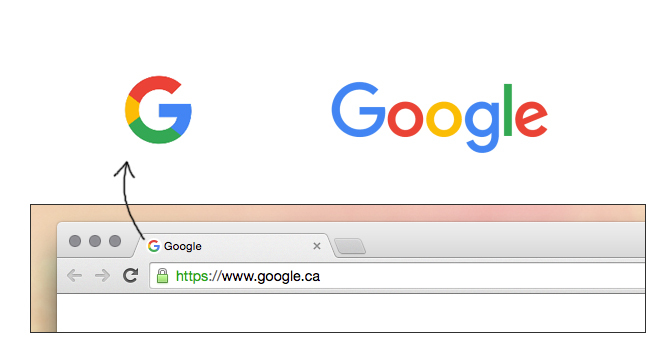 If you’re looking for wide appeal, Google’s new logo is a good example of safe and solid choices. It incorporates a san serif font (no little feet on those letters anymore), thick strokes for versatile legibility, wide rounded letters for friendly appeal, and the consistent and cohesive look of the repetitive round shapes. See videos about the logo construction here. Personally, I’m pleased with their update. I’ve never been seduced by Google’s identity in the same way as some of their competitors such Apple, but it proved to work, and they have been improving it through their android system and their Nexus products in a very nice way recently, playing with an element we both share, the balls! Despite its age and perhaps its appeal, the older logo was at least balancing two important traits: friendly (colours and lowercase) but intellectual (serif font). Swapping that serif font, now perceived as less contemporary, for a geometric sans serif makes it then just playful. While this might be at the core of Google’s brand, it may lack that “smart” important attribute. Now the new logo could perfectly represent a children toys brand, something between Toy"R"us, Crayola and especially, Stride Rite. Also, the new logo seems to fall nicely within the retro trend of the last years, but I am wondering how it will evolve in the years to come. Something to have in mind for such an important and expensive exercise. Brands like Coca-Cola or McDonalds have stood to test of time, and it helped them to become memorable. That being said, there was a very fine line here, as mentioned, to keep Google’s brand recognition while refreshing it. The colours are to Google what the apple is to Mac, or the swoosh to Nike, you can’t change that. So if you keep the brand playful colours and the friendly lowercase, a more modern serif font, such as a slab or glyphic serif, or a square sans serif, would have kept the balance Google previously had, while refreshing it. Or going with the same font but uppercase, but this would have been much more of a change and the colours alone might not weight enough to keep that friendly feel of the brand. Obviously, a lot of thinking and work had been put behind the Google’s new identity, and there are many elements we don’t know. It is always easy to judge without having all the parameters, but I would be curious to get more of their audience reaction… What’s your take? How does the new Google identity make you feel?